A regional publisher is set to close three weekly newspapers due to what it says is a “continued decline” in local print advertising. 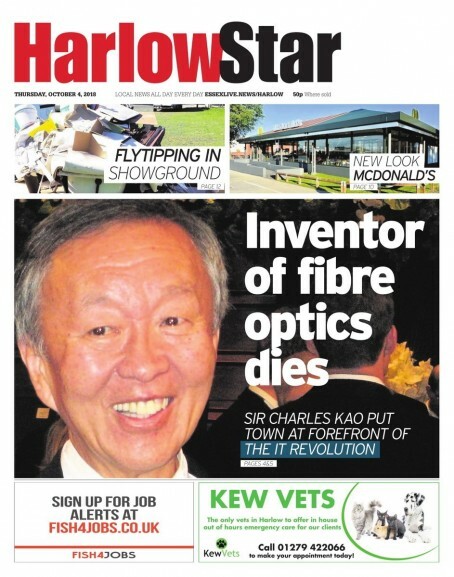 Reach plc has confirmed the final editions of the Harlow Star, Herts and Essex Observer and Buckinghamshire Advertiser and Examiner will be published next week. The company says publication of the titles has become “unsustainable”, although there will be no editorial redundancies as a result of the decision. The Advertiser was first published in 1853, the Observer in 1861, the Examiner in 1889 and the Star in 1980. The Advertiser and Examiner subsequently became a single newspaper with two separate editions. A Reach plc spokesman said: “Due to a continued decline in local print advertising, unfortunately some print titles have become unsustainable. The last circulation figures available for any of the affected titles are from January to December 2017, when the Observer’s stood at 5,184 and the Advertiser and Examiner’s combined stood at 3,786. Figures for the Star have not been published since 2013, before the paper was bought by Reach forerunner Trinity Mirror. The Advertiser covers areas including Beaconsfield, The Chalfonts and Gerrards Cross, while the Examiner primarily focuses on Amersham and Chesham. The Observer was previously based in Bishop’s Stortford, but staff were reloacted away from its office in the town in 2016. The Bishop’s Stortford office has since been taken on by Iliffe’s recently launched weekly the Bishop’s Stortford Independent, which is edited by former Observer editor Paul Winspear. In 2017, Trinity Mirror closed the websites of both the Observer and the Star, with content about the areas they served moving to its Hertfordshire Mercury and Essex Live sites instead. Sad day. I think that’s the last of the Iliffe free titles gone in the Harlow Star. 650,000+ to zero in 5 years. Hopefully it stays as quoted and no jobs will be lost due to these changes. Er, excuse me if I’m wrong, but weren’t you singing the praises of Reach yesterday by pointing out how digital ad revenue was approaching 50% of print revenue? There’s one part of country now where 50% of nowt is nowt. I presume the reason there are no job losses is actually because no dedicated reporters were employed on these papers, which is possibly another reason for the decline. Complete guess but were they all just nailed together by a subbing hub? Job losses you bet. There is or was a commercial team. Announcements about ailing papers closing will become more common as we go through 2019 and I’m just amazed so many once essential, now woeful,weeklies still continue to be pushed out,bought by fewer and fewer people, filled with old news,usually lifted from Facebook or Twitter,and thus attracting little or no advertising. It also appears, as a previous commenter said,to have had no staff apportioned to it which gives us a clue as to why maybe it’s closing. It’s always sad to see papers close but if they’re carrying high costs and are financially unprofitable there really is no other alternative. Watch other larger regional publishers follow suit as the closure of withering titles gathers momentum. Feeling sad about the Buckinghamshire Advertiser, with whom I cut my journalistic teeth longer ago than I care to remember. I was born and brought up in its circulation area and it seems incredible to me that it will no longer be there, at least in printed form. Had some happy times with quality reporters such as Bill Mouland, Jenny Owen-Pawson and Neil Davis. RIP Advertiser. It’s never good to hear of a paper, or group of papers,closing ,especially when they’re closing due to having been left to wither on the vine by owners who switched focus from print to digital years ago believing paper buyers would always be there and digital revenue was sitting there ripe for the picking,how wrong they were. However if they’ve dropped revenue to such an extent that they’ve become unprofitable then closure is all that’s left, a bitter pill to swallow but at least Reach have taken action now rather than throwing good money after bad to prop up papers which have lost their audiences and have no chance of recovery,, action other groups would do well to take note of for their weary weeklies. I do hope 2019 will not be a blood-letting year for weekly papers, but I have a bad feeling about it all. Be delighted to be proved wrong. Don’t blame the hacks for the pathetic efforts of so many papers. They face impossible odds.